Tourism is one of the most important revenue generating industry in India. This is simply due to the fact that the country is blessed with a number of beautiful hill stations, scenic beaches, and sacred pilgrimage sites. Moreover, it is the presence of several “scenic and pristine” beaches in India that attracts a large number of tourists. However, the fact that many of these beaches also provide for high quality water sport activities, is also what draws tourists (especially international) to the country. Now, there are quite a few water sports that are available on Indian beaches. So, here is presenting a list of the “5 most popular” water sports seen on Indian beaches. Also known as “Parascending or parakiting” is a water related sporting activity that is commonly seen in several Indian beaches. Usually involving an individual tied to a parachute that is attached to a boat, this water sport is quite popular with tourists. Furthermore, this water related activity is mainly seen in most of the major beaches in Goa. 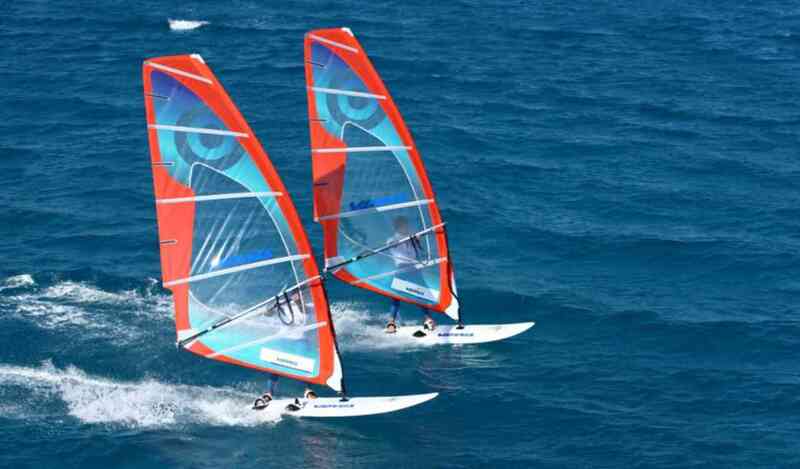 “An activity that combines elements of surfing and sailing” would be the best way to define a type of water sport known as Windsurfing. This activity is mainly undertaken through the use of a “board” that is about 2.5 to 3 meters in length. Furthermore, this activity is extremely popular in Goan beaches such as Dona Paula , Bogmalo, Vagator, Calangute, Colva, Palolem, Miramar, and Baga especially from January to March. Usually undertaken using an “underwater breathing apparatus” is a form of a water sport known as Scuba Diving. In this water sport an individual basically “dives” into the sea using a “breathing gas”. In addition, the diver also uses a pair of “fins” that are attached to the legs. Furthermore, this activity is extremely useful if one intends to explore the beauty of “marine” life hidden underneath the ocean. Hence this activity is mainly popular in beaches located in the Andaman and Nicobar and Lakshadweep islands which are renowned for coral reefs. “Swimming using a diving mask” is what a water sport known as Snorkeling basically entails. The mask used in this water sporting activity is connected to a breathing tube known as “snorkel”. Similar, to scuba diving this water sport is also extremely useful in exploring the true beauty of life hidden underneath the ocean. And hence this water sport is extremely popular in beaches located in the Andaman and Nicobar and Lakshadweep islands that are known for beautiful coral reefs. “The act of riding a wave” is the definition of a water sport known as surfing. In this form of water sport the “rider” i.e. the performer attempts to ride on an ideal wave formed in the sea. Furthermore, the surfer basically uses a “surfing board” to ride over a wave formed in the sea. In addition, this water sport activity is extremely popular in India in beaches located in states such as Goa, Karnataka, and Kerala.